My new friend Jeff Goins is popping up all over. Last week I find out he knows @paulsteinbrueck, whom I recently met at a conference. Then yesterday I see he’s chatting on Twitter with @ryanhaack, an old pal from college. We both have pieces popping up with @relevantmag. And we both work for quality nonprofit organizations. But I can’t sign Jeff’s The Writer’s Manifesto. It’s like driving a van with all the windows painted blue. So I need to take my own shot at a manifesto in response. And craft is pre-eminent. We need to work hard to produce our best. But does “the desire to be heard corrupt the art”? Is “writing for myself” a worthy goal to pursue? I guess I’m not a real writer. I want a more just, more beautiful, more joyful, more honest world. That is why I write. I want people to be informed, provoked, and changed. I write for my audience. And I do not apologize for that. 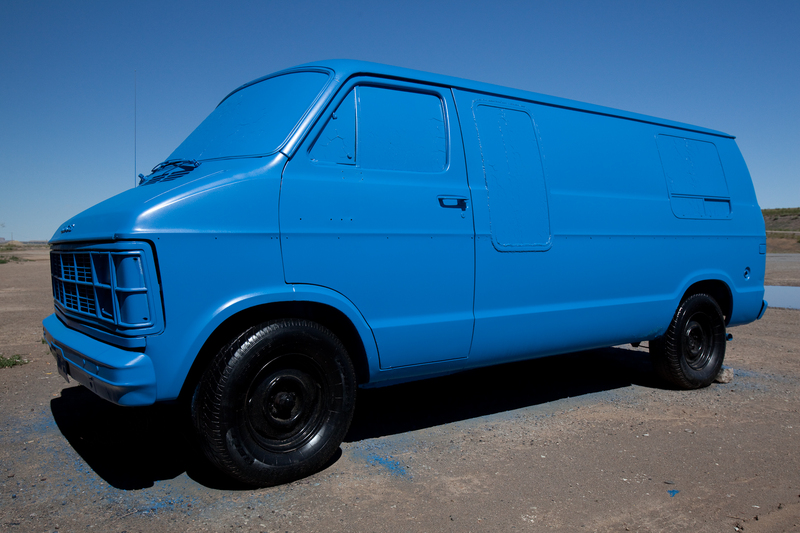 If I am not serving others with my words, I’m just sitting inside my big blue van. Alone in the dark. Give me windows any day. Thanks for taking the time to read my manifesto. Those are excellent reasons to write. Question: Does the world read every word that you write? If not, as I suspect is the case, then why are you writing them? I appreciate and respect your push-back. Thanks for using your voice for something more than yourself. Thanks for stopping by, Jeff. No, not every word I write gets read. And I do agree that like you, I write as one who is called and for purposes beyond my own, even those that are for the good of others, as I follow Jesus. But my point is for my corpus, the sum of my writings, to have the maximum positive impact. That may be the number of people who read, then think and act differently. Or who disagree and think about why. Or a few influential people who are deeply affected. I care very much about being read. Because if I’m not, I could spend my time better elsewhere for good. I appreciate the dialogue and respectfully disagree. Thanks for all you do, Adam. I’ve benefited personally from your gift. Thank you for being generous with your writing. Thanks, Jeff. I’m really enjoying all the great stuff you’re producing on craft and otherwise. You’re pushing me positively to consider where I stand and to consider why. Excellent! This debate seems almost like an existential one. Are we defined by something inside of ourselves or something outside of ourselves? Do we write for effect or as an expression of our identity? Thanks for getting me to think about this! I like that idea of writing what’s in you, Jon, and I appreciate your sharing about the importance of identity and activity. It’s a tension, for sure. All the best to you, Adam! Good points one and all. I actually think it’s both. Any writer who says he isn’t writing to be read isn’t telling the whole truth. Like, Jeff, if you weren’t writing to be read, why would you post it on your blog? The whole reason is for people to be able to read it. So, it might not be THE reason you write, but it certainly is A reason. I don’t think it’s an either/or conundrum. We write honestly and are true to ourselves (just read the “territory” part in Pressfield’s War of Art again tonight) and we hope it connects with people. I don’t think either of things things dilute the other.